Injen Technology continues to lead the way, delivering “World Class Performance Intakes”. Injen’s patented MR step-down process and Air Fusion come together to give you the first pre-tuned, twin, cold air intakes engineered for your 370Z. The all-new SP1989P keeps raising the bar as the only “Tuned Cold Air Intake System” on the market capable of producing up to 15HP and 11ft/lbs of Torque. “The Best of the Best” just got better with the release of the Injen/AMSOIL Ea nano-fiber performance dry filters. NO OIL REQUIRED! No more contaminated sensors! Buy from the company that invented and patented the MR step-down process, buy Injen Technology! 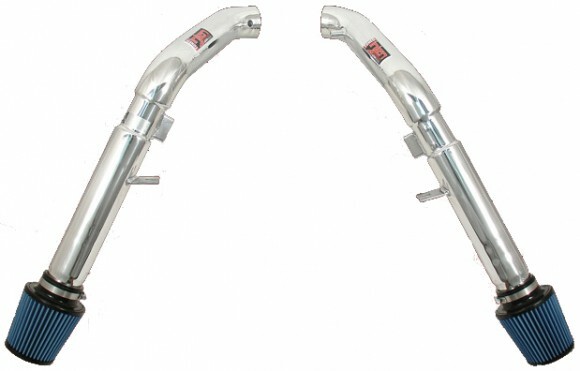 Here’s a treat, Injen Technology has just released Cold Air Intakes for the Hyundai Genesis 2.0T and 3.8L V6. The next generation of tuner rear-wheel drives has just landed on US soil. The Hyundai Genesis is guaranteed to satisfy any fanatic’s addiction to speed with a 10HP/17ft lb bump for 2.0T motors or a 14HP / 12ft lb increase for 3.8L V6 engines. 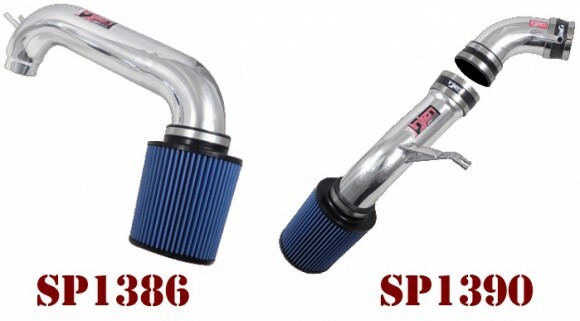 The SP1386 (comes in Polished part # SP1386P or Black Part # SP1386BLK) for 2.0T motors and the SP1390 (comes in Polished part # SP1390P or Black part # SP1390BLK) for the 3.8L V6 both are equipped with the famous patented MR step-down technology and Air Fusion. Combine that with a state-of-the-art Ea nano-fiber Injen/AMSOIL performance dry filter and you’re ready to give your rear-wheel driver the competitive edge it needs. Injen Technology, the company that brought you the only patented tuning process and “The World’s First Tuned Air Intake System”.